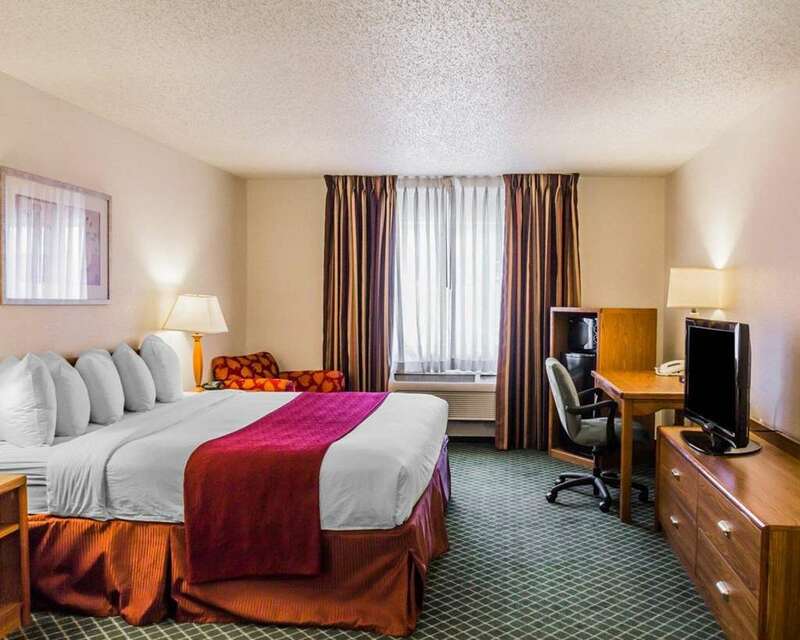 Get more for your money at the Quality Inn And Suites Golden - Denver West hotel in Golden, CO. Our smoke-free hotel is located off I-70, just 20 minutes from downtown Denver and near the Colorado School of Mines and the Miller Coors Brewery. We offer corporate travelers the use of our business center and fitness center, plus free WiFi and free daily hot breakfast. Each of our spacious guestrooms has a 37-inch flat-screen plasma TV, microwave and refrigerator. Also, earn rewards including free nights and gift cards with our Choice Privileges Rewards program.